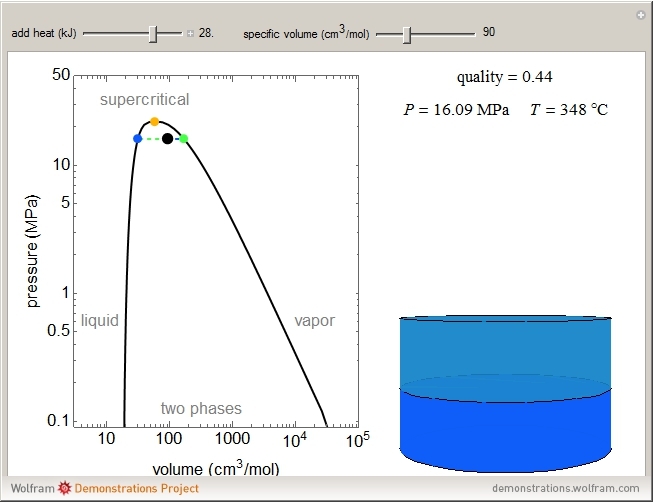 This Demonstration shows the phase behavior of 1 mol of water on a log pressure versus log volume ( - ) phase diagram. Use the sliders to change the specific volume and add heat at constant volume. A piston-cylinder on the right represents the volumes of liquid (blue) and vapor (green) present. The temperature, vapor quality and pressure are shown on the right. The critical point (orange), which is the highest temperature and pressure where two phases coexist, is at 647 K and 22.1 MPa for water. 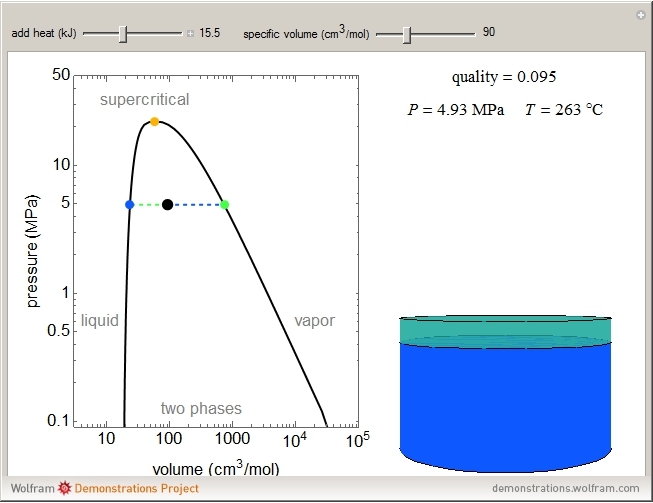 As heat is applied, if the volume selected is smaller than the critical volume, the vapor phase volume decreases; if the volume selected is larger than the critical volume, the liquid phase volume decreases. and the superscripts and refer to liquid and vapor. 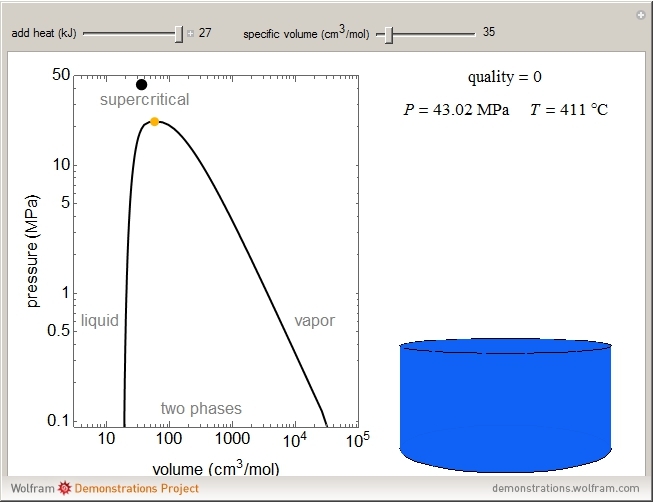 "Pressure-Volume Diagram for a Vapor-Liquid Mixture"